Just yesterday, we reported about Panasonic’s sales plans for their 3D devices in the US (Samsung is ready, too). 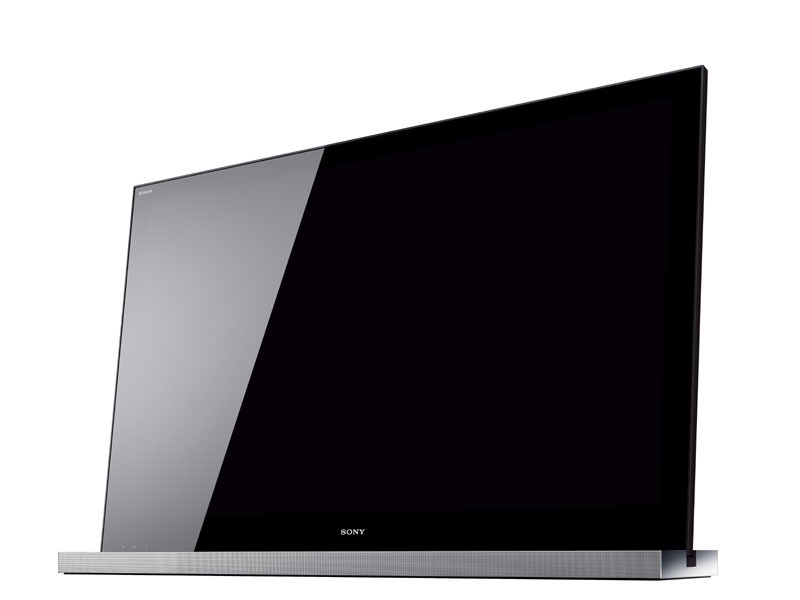 And today, Sony has announced [JP] prices and release dates for eight 3D BRAVIA TVs for the Japanese market. The company wants to sell a total of 25 million LCD TVs next fiscal year (a whopping 67% increase from its forecast for the current fiscal year that ends this month), with 3D TVs accounting for 10% of that number. 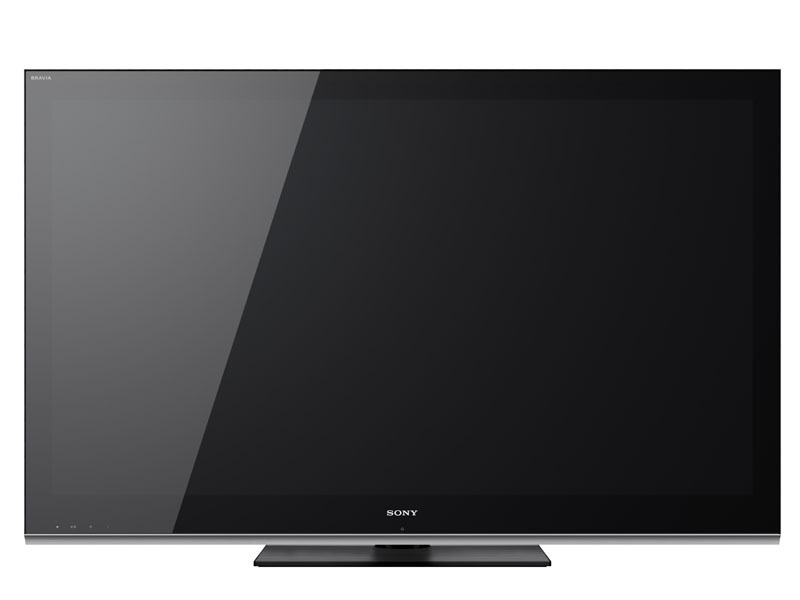 The eight Sony 3D TVs are very nice too look at and appear to be less expensive than their Panasonic counterparts. The flagship LX900 series consists of four models with screen sizes between 40 ($3,200), 42 ($3,900), 50 ($4,800) and 60 inches ($6,500). Buyers will get 2 pairs of active shutter glasses, wireless LAN, full HD, 4 HDMI ports, a USB port, video-on demand, and LED backlight. The 60-inch model, the KDL-60LX900, is pictured above. There’s also an “intelligent people sensor system”, which adjusts images and sound depending on where viewers are located. And through face detection, the TVs can even be “personalized”. 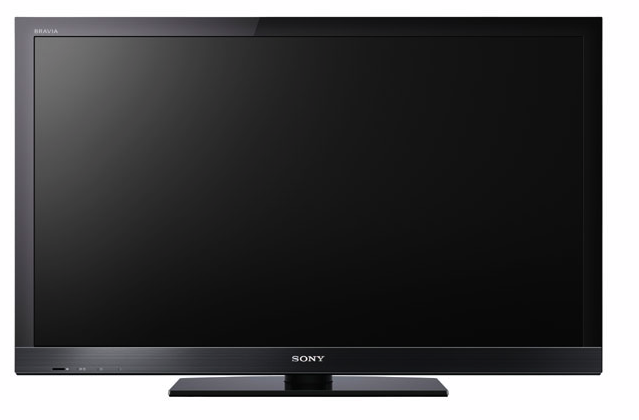 For example, the TVs can detect if a child is sitting too close to the screen and display a warning message. And if nobody is in the room for a certain period of time, the TVs shut down automatically (“On/Off Conscious” function). The 40- and 42-inch models will go on sale in Japan on June 10, followed by the bigger LX900 models on July 16. The HX900 series consists of a 46- ($4,350) and a 52-inch ($5,250) model. For some odd reason, 3D glasses are not included in the price. These models are full HD, too. The HX900 series shares main specs with the KX900 (outlined above) but lacks the fancy sensor systems and wireless LAN. The bigger of the two models, the KDL-52HX900, is pictured above. Both HX900 models go on sale on July 16. Priced at $2,450 for the 40-inch model and $3,100 for 46-incher, the two models of the HX800 are the cheapest of all 3D TVs Sony unveiled today. The TVs feature LED backlights, full HD and all basic specs of the HX900 but come without wireless LAN or sensors. They also lack the 3D glasses, which buyers need to get separately. The picture above shows the 40-inch model, the KDL-40HX800. The two HX800 TVs are scheduled to hit Japanese stores on July 16. The HX800 and HX900 TVs do have (wired) LAN but buyers can also get the UWA-BR100, a wireless LAN adapter that’s to be inserted into the USB port of the TVs. It’s already available in the US for $79.99. As the HX900 and HX800 TVs don’t come with glasses, Sony also announced the extra-large TDG-BR100 in black and the smaller TDG-BR50 in blue or pink (price: $140 each) today. Then there’s TMR-BR100, a 3D “synchro transmitter”, which makes sure the glasses can actually display the 3D images your TV produces (price: an extra $60). Sony said they will roll out these TVs globally at around the same time, meaning Panasonic will have a head start of about 3 months in the USA and 2 months in Japan. Just like Panasonic, Sony is expecting the 3D business to evolve into an important revenue machine in the near future.